Home In the News CBEAR Fellow Research Kent Messer & Jacob Fooks’s Mascot Research: Cheer or Fear? Kent Messer & Jacob Fooks’s Mascot Research: Cheer or Fear? Smokey Bear has spent decades reminding picnickers “only you can prevent forest fires” and has even been known to cry over the devastation they leave in their wake. University of Delaware researchers say the cartoon bear illustrates how mascots can most effectively protect the environment – by threatening disappointment. New findings show adults are less likely to pollute when conservation information is presented to them by a mascot. And, they are most likely to make the right choice when it prevents the fuzzy creatures from being sad. 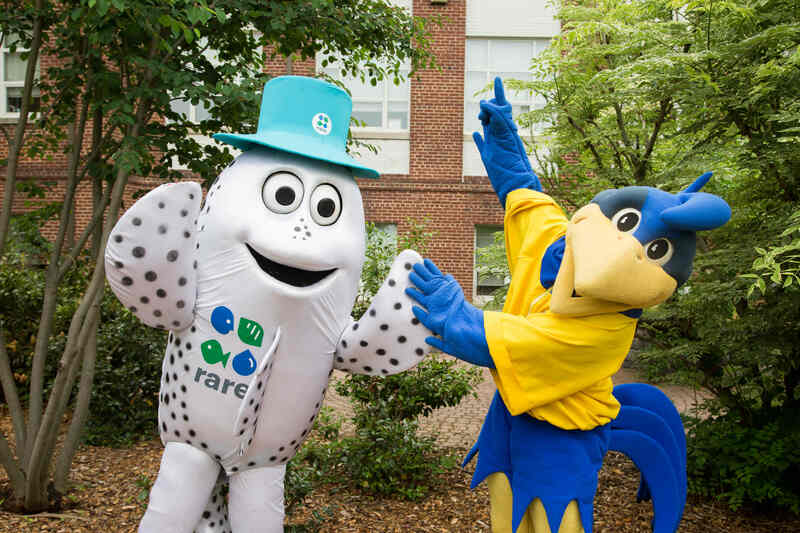 Some conservation groups, such as the non-profit organization Rare, have been using mascots for years as part of their “pride” campaigns throughout the world, helping protect endangered species, develop sustainable fisheries, and improve water quality by tapping into residents’ pride in their communities. Rare turned to researchers at the University of Delaware to test in a controlled laboratory setting the core question of whether mascots really can inspire new behaviors that benefit the environment, something it has seen play out in hundreds of pride campaigns around the globe. So Kent Messer, co-director of the Center for Behavioral and Experimental Agri-Environmental Research (CBEAR), and his economics colleagues, Julie Butler, assistant professor at the University of Delaware (UD), and Jacob Fooks, a recent graduate and CBEAR Fellow, set up a test involving 168 UD students. Brett Jenks, jacob fooks, Kent Messser, Mascots, Rare.org. Bookmark.